Is an Unfortunate Medical Outcome Necessarily Medical Malpractice? 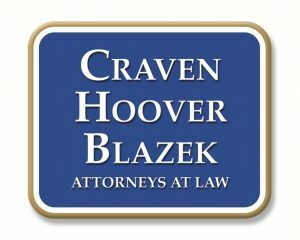 | Craven, Hoover, & Blazek P.C. Medicine and medical care is, without a doubt, one of the most delicate and complicated industries. No matter how proficient or well-versed a physician or surgeon may be, it is inevitable that at some point in their career, they will experience at least once unsuccessful treatment or medical case. All doctors and superintendents in the medical field are well-aware that not all cases can be successful or treated; and the law comprehends this notion as well. This protects hospitals and physicians from medical malpractice lawsuits in the case of a tragic and unfortunate medical outcome. 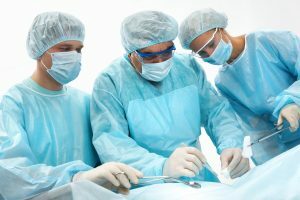 If a patient perishes or becomes more ill from a particular treatment or illness, it is not always immediately connected to medical malpractice. When it comes to a medical malpractice lawsuit, courts and lawyers work diligently, using a methodical approach, to investigate the circumstances of a patient’s treatment, illness, or death. It is their jobs to distinguish the difference between an unexpected or inevitable misfortune, and actual medical malpractice. There are standards of care in the wider medical community, and these standards are how the law identifies medicine malpractice cases. So if doctors or personnel fail to meet these standards and a tragedy occurs, then malpractice may be at play. In this case, families may be entitled to compensation for wrongful death and medical malpractice, and encouraged to pursue a lawsuit. When it comes to medical mistakes or surgical errors, these cases are rarely cut and dry. In order to accurately assess and investigate the underlying circumstances and causes of such errors, families need a skilled and seasoned Indianapolis medical malpractice attorney to evaluate their case. This entry was posted in Medical Malpractice and tagged accident attorney Indianapolis, accident lawyer, Indianapolis personal injury, medical malpractice Indiana, medical malpractice lawsuit, medical malpractice lawyer Indianapolis, personal injury lawyer. Bookmark the permalink.